Isaloni 2017: Deluxe World of Luxury Bathrooms With Maison Valentina – If there is something such as a perfect formula to get the perfect bathroom decoration, then it is the combination of great products. Luxury Bathrooms selected a few Bathroom Luxury Products In Exhibition at Salone del Mobile 2017 to inspire you and give you design ideas. A Bathroom is a huge part of our interiors, and we don’t always recognize this fact. So why not invest in stunning bathroom product designs? At Maison Valentina there’s the conviction that statement products can make all the difference in a room, especially if they are a great combination of style and functionality that matches your interior design style. If you’re thinking in a bathroom makeover, there’s no better place than iSaloni 2017. The design event opened its doors earlier today for the third day and we are very happy to share their best products with you. In the picture above, you see closer the Symphony Bathtub and Cross Grey Surfaces. In this image you see: A new product. Stay tuned with Luxury Bathrooms to learn more about this new product, soon, by Maison Valentina. 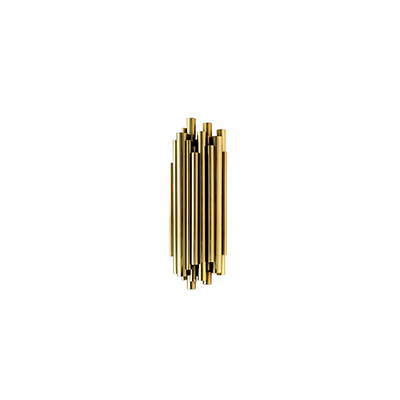 Symphony collection feature an elegant composition of golden plated brass tubes, as you can see in detail in the picture above. Don’t miss the chance of celebrating the best design that is made by the most renowned brands from all over the world. Join Maison Valentina at iSaloni 2017 in Hall 1 – Stand D06.